Our smaller vehicles are used for a number of tasks. 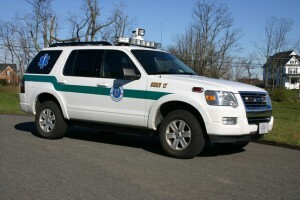 The Special Emergency Response Vehicle (SERV) can carry a swiftwater team to the scene of an incident and pull the boat. It is also used to provide transportation to training classes for our members. 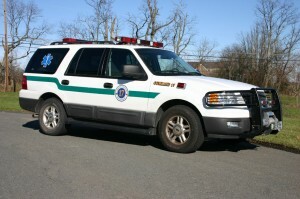 The ALS (Advanced Life Support) vehicle is outfitted with a first aid kit, backboard, and drug bag so that a paramedic, who may be the advanced-level provider for the western Loudoun region, can independently respond to the surrounding areas as needed. 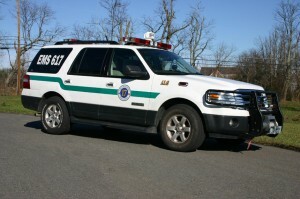 The Command vehicle carries incident command vests, writing boards, and additional radios. It is available to duty officers in case of a major incident with a large number of patients. The supplies on the vehicle help keep the scene organized and efficient.